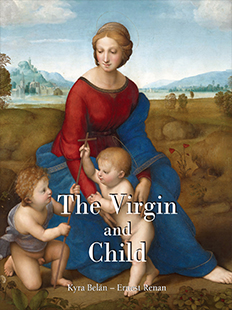 The Virgin and the Child are amongst the most favourite artistic themes since the Middle Ages. Mary was frequently depicted with the Christ Child. This religious scene showcases a mother and her son, sometimes accompanied by other protagonists. Originally distant and formal, the relationship between the two figures was expressed with tendernessat the end of the Middle Ages and became more human. Amongst the famous artists who have treated the subject of the Virgin and the Child are, most notably, Cimabue, Jean Fouquet, Quentin Metsys, Botticelli, Leonardo da Vinci, Raphael, Rubens, and many others. 300 pictures and more than 500 pages including detailed captions, offer a thorough insider view on the subject.